The shortest distance so far to create a pair of #LinkingPostcards. Wilhelm is an artist himself and does wonderful paintings. He started to create a collection for his artwork, but did not add anything to it so far. Let's hope he will do so soon, so you can also see his wonderful ArtWork. The card he sent to me is from Kastelruth in South Tyrol with the typical Haflinger Horses. We both love South Tyrol with its wonderful landscapes. It's a sort of Highland Cattle we saw at Würzjoch (a mountain pass in the heart of the Dolomites. The stamp shows the pavilion in our city park. Starting with the middle of May every Sunday afternoon there is a free event taking place within the pavilion. It can be a choir singing, a band playing, a group dancing ... all local artists from Waldkraiburg and the surrounding area. 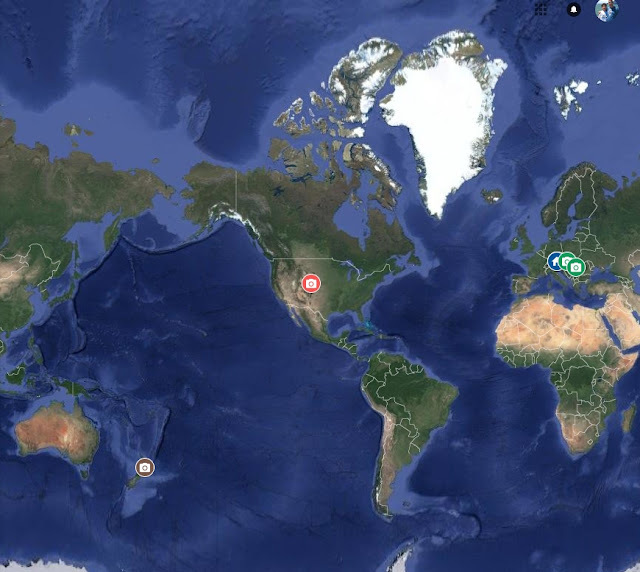 Yet another link on our global chain of #LinkingPostcards completed. It connects Bavaria with North-Rhein-Westphalia - the South of Germany with the North. Susanne "always looks on the bright side of life" and she was also one of those people to immediately say yes, when learning about the postcard exchange in real life. The card I received from Susanne was shot on the Island of Mallorca. She is the first one to receive a postcard from me in my own country, but I had only stamps for outside Germany. Also something went wrong with my first order and I didn't get any sent. 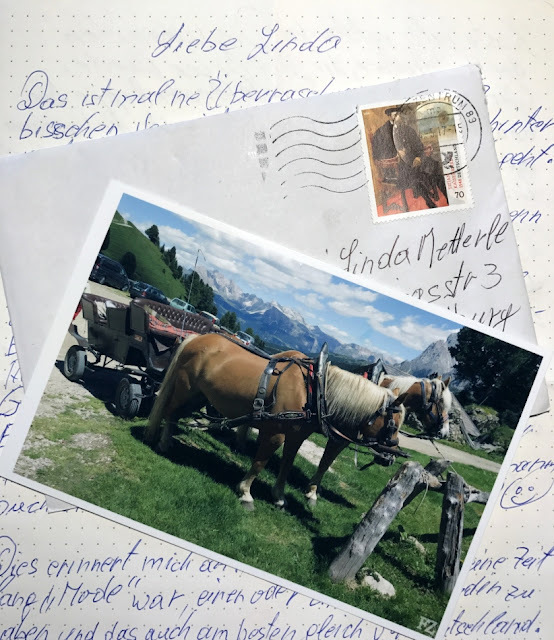 Placing another order, everything worked perfectly, but Susanne had to wait for so long, so she got two cards, one for the #LinkingPostcards initiative and the other one for the waiting. I thought she might like one of my shots from the third highest volcano located on the Island of Tenerife, one of the Canary Islands.